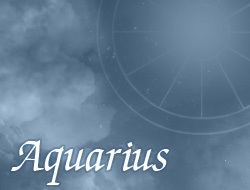 Persons born under the sign of Aquarius have a high predisposition to become a teacher, musician, or athlete. They are interested in sports and often try to actively spend time. They are patient and quite difficult to throw them off balance. They like trips to seaside, generally love the nature and all contacts with it. The work is very important in the life of majority Aquariuses. It's not just about the work associated with aspiration to financial benefits, but also the work on own personality, life and aspiration to create a happy family, because it is definitely the most important for them. Aquariuses don’t like when somebody imposes them own opinion, because they treat such people indifferently and often don't feel like talking to them, politely simply thanks them. Very often they reject different patterns and traditions – like to create their own personal style, which will be unique. They are characterized by high creativity and artistic work, by what can successfully conduct advertising campaigns of different products. Sometimes they are too conservative in their life. Aquariuses can be perceived as eccentrics, but it depends only on individual likings. They adore company and easily can establish contact with them.